Political Spin Removal: Do Conservatives Have a Conscience? New York Times columnist and economist Paul Krugman apparently intended to write a counterpoint to Barry Goldwater’s influential 1960 book, The Conscience of a Conservative. Krugman's retort, The Conscience of a Liberal, was loaned to me, with endorsement, by a colleague. I generally find such political essays not worth the time, and this one is no exception. Krugman only mentions Goldwater tangentially, and while he does address some of the same topics Goldwater did, such as taxation, labor unions, and international trade, he does not go head to head with the fundamental principles of conservatism espoused by the Arizona Senator and does not deal at all with non-economic issues such as nuclear testing. So this is not, as the title implies, an answer to Goldwater-inspired conservative principles. Pity that. What is this book about then? Krugman states that his intention is to demonstrate that conservative ideology inherently makes for bad economics. But he does not make that case, nor even seriously address it. Instead, he is concerned to set forth some values of political and economic liberalism, hoping perhaps that these will stand in contrast to implied but unstated complementary conservative principles. Even if he had done that well, the book would provide useful service. But there is nothing so systematic presented here. Instead, we are treated to a superficial survey of the last 100 years of political and economic history, the Krugman’s-eye-view, which gives him opportunity to opinionate on selected features of that terrain. Many of his descriptions seem accurate and germane, such as the great Southern shift from Democratic to Republican persuasion in the 1960’s. That shift has been an important fact of political life ever since. Why did it happen? Racism, says Krugman. When Kennedy sent the national guard to integrate the schools and Johnson championed the Civil Rights Act, the south was aggressively humiliated by the north for the second time in a hundred years. The Democrats made their point, but it sealed their political fate in the south. Only recently, with the relative success of Barack Obama’s campaign in southern states, is the petulant southern rejection of the Democratic party of a half-century ago showing signs of softening. Krugman tells a good story. It might even be true. One suspects other factors, such as superior economic growth in the north might have played an equally important role in the Southern shift. Krugman writes at length about taxation, as you would expect of an economist. His main thesis is that the anti-tax obsession of the conservatives is actually nothing but greed dressed up as compassion. He documents pretty well that it has always been the rich who have pushed for lower taxes, not the working and middle classes. 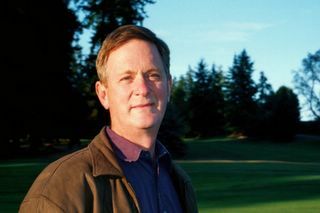 He shows that conservatives favor regressive taxation, such as flat taxes and sales taxes and special tax reductions that benefit only the rich, such as for the estate tax and capital gains tax. Liberals, on the other hand, favor progressive taxation, like the income tax, which redistributes wealth from the high end to the low. This is an important difference in ideology, and Krugman documents it adequately. However, he is less clear in explaining why this difference in attitude has persisted from the time of the great railroad and steel barons, right up to today. He does note that taxation rates during and after the New Deal were 75% to 95% in the highest brackets, and that these punitive rates essentially wiped out the fortunes of many old wealthy families and transferred much of that wealth to the working and middle classes, erasing the extremes of economic inequality that had developed in the Gilded Age. But he passes no value judgment on that move. Was that a good thing to do? Liberals (speaking for myself) see wealth redistribution as a moral principle, and this book has “conscience” in its title. But Krugman seems loathe to make a moral point here. In fact he seems to uncritically admire the Roosevelt administration’s policies (as many Democrats do), not commenting on the real human meaning of a 95% tax bracket. Today, he avers, conservatives are still trying to roll back the New Deal, not realizing apparently that the battle has been won. Today’s top tax rates are among the lowest in the world. But any tax is too much tax for the rich, explaining conservatives’ obsession with lowering taxes and their neverending attempts to undo other aspects the New Deal, such as social security, medicare, and labor unionization. Why do rich conservatives hate these policies so much? 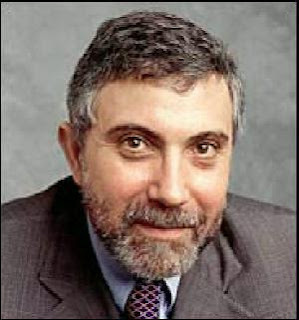 Greed, pure and simple, says Krugman. Worse, they have been relatively successful in their efforts, so today we have dimensions of economic inequality not been seen since before the New Deal. How have the conservatives managed to pull this off? By duping the ignorant electorate, he says. You can’t just come out and say, “We rich people want even more of your money, less taxation, and we don’t care about the rest of you.” That would never sell. Instead, they trick voters with clever language, making it seem like conservatives stand for some high-minded principles, not selfish greed. They use “dog-whistle” messages, he says, which are like sounds that only dogs can hear. Conservatives use special code phrases that only other conservatives understand, bypassing most of the electorate. It’s a cute idea but he doesn’t give concrete examples. I can think of some. “The American people know better how to spend their own paycheck than the federal government does!” That is a common conservative reason for cutting taxes. It sounds good to the uninformed, but of course doesn’t address the consequences of cutting taxes, such as overcrowded schools, disintegrating roads and bridges, reduced police funding, closed libraries, restricted hospitals, poor veterans’ services. It’s an example of a dog-whistle communication that goes right past the ordinary voter but is heard by other conservatives. So it turns out that conservatives are basically selfish, greedy, racists. That explains a lot! Who knew? But wait, there’s more. Conservatives are also unenlightened about morals. They resent the sexual revolution brought on by the invention of the oral contraceptive in the 1960’s. That gave women control over their own reproductive destiny, a fact deeply resented by misogynist male conservatives. The conservative “family values” emphasis is designed to stop social erosion of male hegemony and turn back the clock to the absolutist middle ages. Just as I always thought! All this is fun for a liberal reader, but who is it going to convince? I am only slightly exaggerating Krugman’s arguments here, putting a few words in his mouth. He himself is skilled and circumspect in his writing and this book is not a sophomoric flame. Nevertheless, his subterranean messages are clear and they are primitive and not very convincing. I think he is not wrong, but since he does not make his case with evidence and reason, I do not accept his arguments. Personally, I think the rise in conservative politics in recent years has been a good thing for the country, painful though it has been for me and many others to endure. It represents the genuine democratization of politics, the enfranchisement of those people whose voices were squelched in the New Deal and during the Democratic Reign after World War II. If it is going to be a two-party system, we need to have two parties. Even the most naïve, uneducated, misinformed citizen has a right to vote their small-minded, mean-spirited, greedy, repressed, misogynous, racist biases into political and economic policy. That is the beauty of our system. One person, one vote. If the educated elites suppress the voices of the ignorant, that makes life easier for a while, but eventually the mobs will come for you in the night with pitchforks and torches. It is infinitely better to let them speak, win when they can, and just absorb the pain. In the long run, assuming you believe in basic human rationality, good sense will prevail. I think that’s what’s happening in the current political cycle. As the Hegelian geist moves forward, circumstances change, people realize what is really in their own best interests, and they abandon conservatism. Unfortunately, new, tabula-rasa babies are born at a far greater rate than the educational system can handle, so there is never going to be a shortage of conservatives. We must try to stay ahead of the educational curve, and there, I think communication technology is on our side, although this particular book helps only slightly. Goldwater, B. (1960/2007). The Conscience of a Conservative. Princeton: Princeton University Press. Krugman, P. (2007). The Conscience of a Liberal. New York: W.W. Norton.